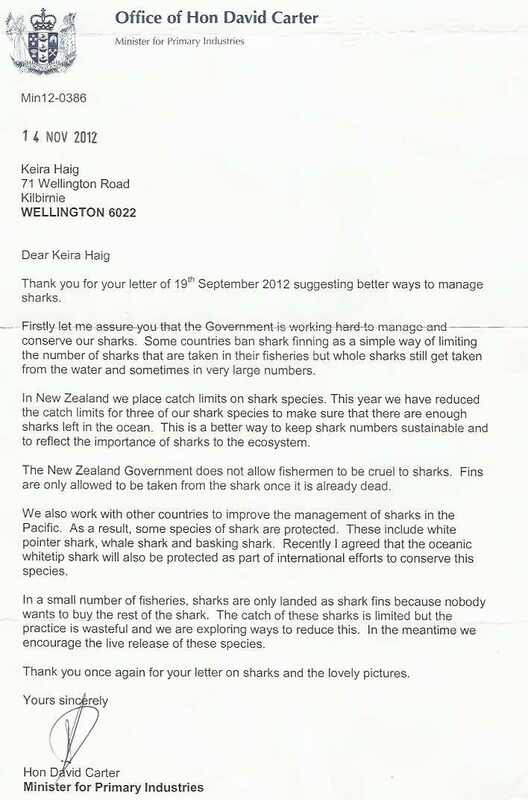 Do you remember when I wrote a letter about shark finning to the government? Well I got this letter back and it's been on our fridge, sorry we forgot to update the blog with it. The letter is quite interesting, you can click on it to make it bigger so you can read it. I'm still a bit worried about the sharks. 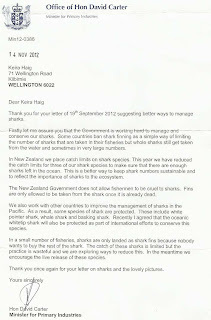 What a lovely letter, although I see from your last statement that you don't feel very reassured about the sharks. When we went out in the boat the other day, Pa caught a teeny tiny baby shark on his line, I think it is called a rig. It was completely unharmed and we threw it back in the sea immediately....Maisie was very interested to watch it swimming away, she nearly fell out of the boat in her excitement. thank you for visiting my blog sallynan. that's crazy about the rig! i wish i could have seen it. i love you and miss you and the first day of school was good. Oh I love you too, such a lot and missing you like mad. I'm glad you had a good day at school . I hope you have a lovely weekend playing with Gary and Gizmo !